Cap Catamaran 8. 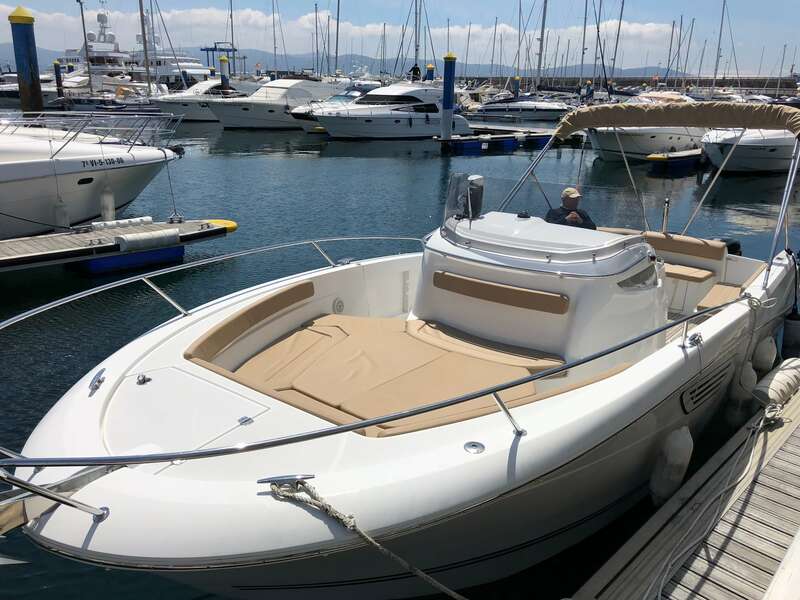 5 cc built by Jeanneau is an efficient speed boat with a length of 7. 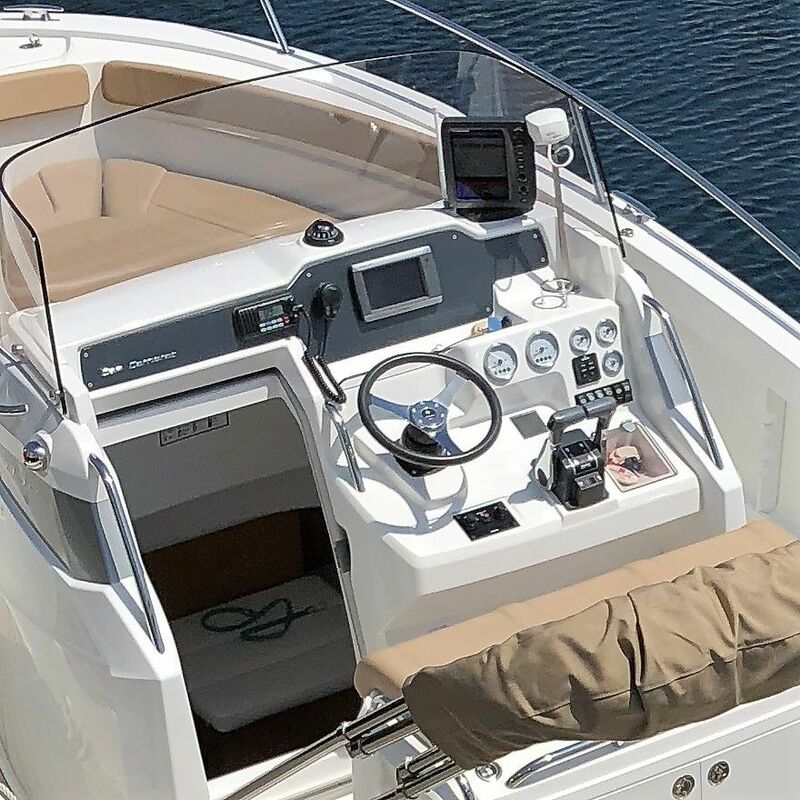 95m and a central console with an enveloping dashboard. 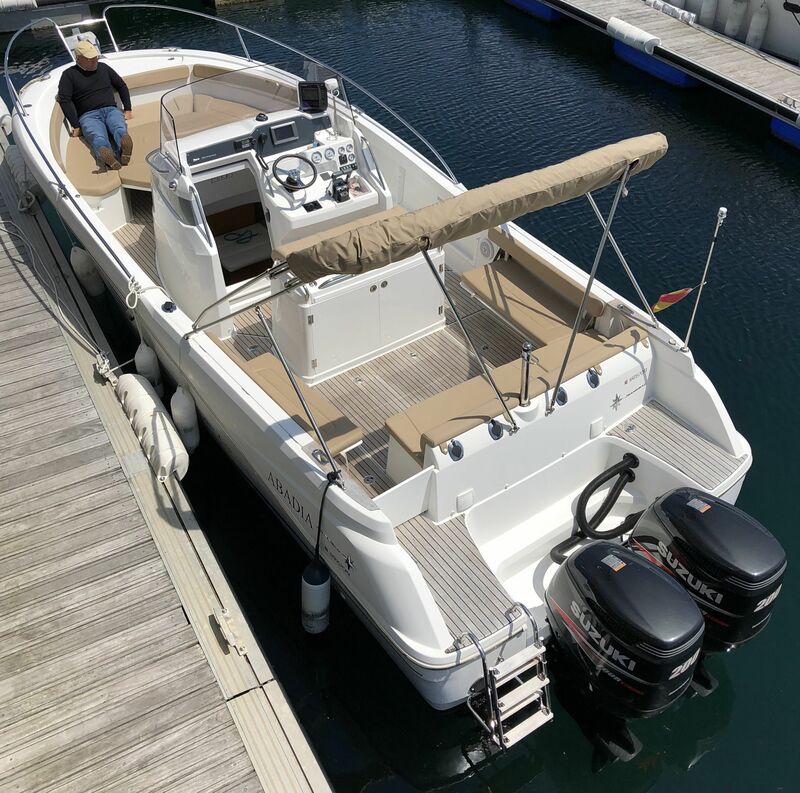 It offers high performance with two outboard engines and has a capacity for 6 crew member, perfect to feel the Rías Baixas and the magic of the sea!